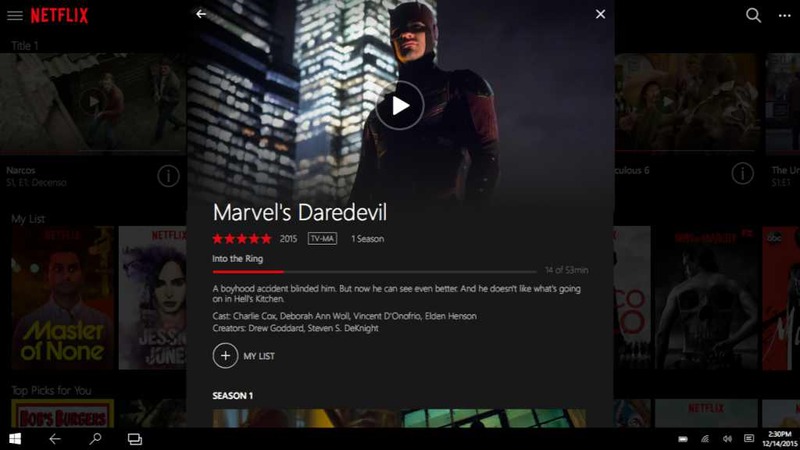 Netflix app on Windows 10 brings videos download feature. Recently, the company introduced offline viewing feature on some platforms. Netflix Offline viewing allows users to download videos and watch them offline. 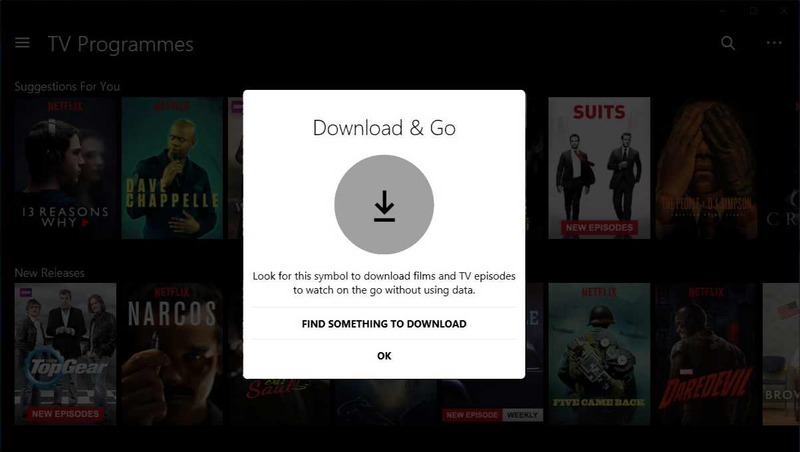 The latest Netflix app update for Windows 10 brings “Download & Go” feature. Now you will see a download button for TV shows, movies and documentaries on Netflix. To download, just click the button and it will start downloading the video. You can access downloaded videos at the “My Downloads” section on the hamburger menu. However, Netflix does not allow users to download all of its content. You can check “Available for Download” section where you can find all the content that you can download on your device for offline viewing. You can download Netflix app for Windows 10 from the Windows Store or you can also download it from the link below.